Charles Kush is an inspirational leader and decision maker with extensive experience building and growing businesses, maximizing profitability, reducing costs, and streamlining company operations. He's a very knowledgeable, creative, and innovative problem solver with a unique blend of deep technical competence combined with broad business, management, marketing, and sales expertise. Charles is an independent executive consultant covering the e-commerce, technology, media, and telecommunications markets, where he is regularly sought after for his expert-level strategy consulting. As the Vice President of Information Technology, E-Commerce for The Children’s Place, he led e-commerce technology for the largest pure-play children’s specialty apparel retailer in North America. Prior to The Children’s Place, Charles was the Chief Operating Officer of eFashionSolutions, where he provided overall strategic, administrative, and operational leadership to the foremost supplier of end-to-end e-commerce solutions serving the fashion and apparel industry. As Founder, President and CEO of CREATIVE PRODUCTS, Charles built a B2C online mass merchandiser. He gained valuable experience in all areas of e-commerce, including supplier integration, product sourcing and merchandising, search engine optimization, search engine marketing, e-mail marketing, affiliate marketing, online marketplace distribution, platform development and integration, order management, customer service, fulfillment, and Web analytics. At Beechwood Data Systems, Charles served as Program Director for the Northeast Region, where he led teams of more than 100 professionals in designing and deploying telecommunications software solutions. He directed sales, marketing, and operations strategies to expand the practice and ensure effective management of existing accounts. Beechwood was successfully acquired by Capgemini during Charles' tenure. Before Beechwood/Capgemini, Charles served in numerous management roles within AT&T. He conceived and oversaw the planning and development of a key nationwide executive dashboard/management system, winning high acclaim within the company. He also established stringent standards and practices for software development, project management, and systems management to streamline business practices and realize significant cost reductions. These efforts earned him several prestigious awards and accolades. Prior to his tenure at AT&T, Charles served as a Manufacturing Project Engineer for ITT, where he directed the conversion of advanced military product designs into production, ensuring outstanding production quality to keep the US Military safe in combat. He received two separate Presidential Citations for his work. Charles earned a Bachelor of Science degree in Mechanical and Aerospace Engineering from Rutgers University, School of Engineering. 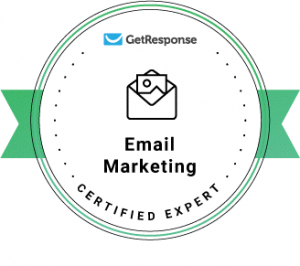 He is a Google Ads Certified Professional, a Bing Ads Accredited Professional, a GetResponse Email Marketing Certified Expert, and is Facebook Blueprint Agency Trained. He also holds a real estate license from the State of New Jersey, is a certified personal trainer and sports nutritionist, and is published in Marquis Who’s Who. In his spare time, he enjoys fitness activities, travel, investing, and researching the latest technologies. Operating partner, board member, president, chief operating officer, COO, executive vice president, EVP, senior vice president, SVP, VP, chief executive officer, CEO, chief marketing officer, CMO, chief information officer, CIO, chief technology officer, CTO, chief financial officer, CFO, private equity, hedge fund, finance, banking, venture capital, venture capitalist, VC, venture partner, managing director, managing partner, general partner, principal, business development, software sales, market research, advertising, interactive, project manager, information technology, IT, security, infrastructure, retail, ecommerce, CPG, electronics, operations, business Intelligence, Big 4, quality assurance, CRM, supply chain, manufacturing, ERP, accounting, utilities, automotive, engineering, mechanical engineer, aerospace, government, and international. Social Media SmartBus on Lush UK bids farewell to social. Will other brands follow suit? Copyright © 2005-2019 Charles A. Kush III. All rights reserved.